20 interesting facts about beer and brewing, which you probably did not know! 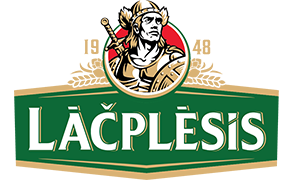 Beer consumption in the world has reached 20 litres per capita per annum, in Latvia it is 67,1 litres, while in the beer superpower Czech Republic this amounts to 160 litres of beer per capital per annum. 7th of April is the National Beer Day in USA, when in 1933 after 13 yearlong ban beer could be legally purchased, sold and consumed. The strongest beer that has been brewed in the world until now has the alcohol content of 67,5%. The smell of beer attracts snails. This is explained by the fact that the snails react to the smell of yeast, which is also caused by rotting fruit. If you need to get rid of this vermin in your garden, you have to pour a little beer in a shallow container and place it in the garden; then simply collect and dispose of the snails. The oldest known recipe in the world is that of the beer. Around 4000 years ago it was cut on a stone tablet in the Ancient Babylon. In Scandinavia beer is also an officially recognized antidepressant. Steven Petrosino holds the world record in speed-drinking of beer – he was able to drink a litre of beer in (1977), whereas the Latvian Champion title belongs to Edgars Šverns, who managed a pint of beer (0,568L) in 4,6 seconds (2009). Regular rinsing of hair with beer allows you to get rid of dandruff quickly. Cenosillicaphobia is fear of empty beer glasses. Unlike beers made in other countries, the American beer is mostly brewed from rice. This is because Americans prefer beer with a light, not too distinctive flavour, which is also one of the reasons causing the high consumption of beer among women. In Africa they make beer out of bananas as well. From the physiological perspective beer is one of the best balanced beverages that has a positive effect on metabolism and serves as a source of vitamins. In 17th century in the territory of Latvia beer was brewed using hot stones, since there were no suitable metal containers available, and it was fermented to final readiness in oak barrels. Using of metal containers for beer brewing purposes began only in the 19th century. This resulted in the characteristic Baltic “stone beer”, which was used until late 19th century. Beer used in face masks and creams encourages smoothening of wrinkles. There is a crater on the surface of the Moon named “Beer”. Beer is the only product capable of cleansing the body of aluminium. It also detoxes heavy metals. If a person collects beer bottles, he is called a labeorphilist, while the one collecting beer pads is called a tagestologist. Ancient Sumerians used warm beer as mouth rinse and dental treatment. In Sumer beer was considered to be a healing drink – this is demonstrated by Ebers Papyrus. In the medieval times different spices were used for beer brewing - juniper berries, nutmeg, ginger, cumin, as well as herbs that we use for herbal tea today - yarrow, a variety of mint and also such additives that were relatively more rarely used as oak bark, pine needles and fir buds. Czech Republic and Germany have the highest consumption of beer per capita – roughly 130 litres annually. Whereas China has the highest total consumption of beer – Chinese consume 350 million hectolitres of beer annually.